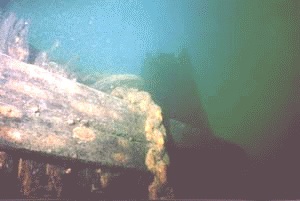 Kingston Ontario Canada is home to some of the most diverse historical and artificial shipwreck sites in the world. 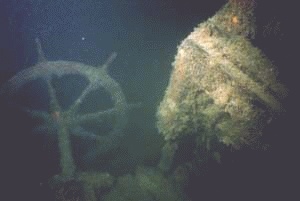 Schooners, paddlewheelers, wooden steamers and coastal frieghters are among the many well preserved wrecks. The Adventurer is a 28 foot Chriscraft equipped with all the trimmings . Onboard computer systems enable pre-dive briefings that ensure optimal orientation to each specific site. On your way to the dive sites you can relax in a fully equipped cabin and watch video tape of the upcoming dive or maybe you would prefer to watch the water roll by from the large staging area aft.. Photography and video equipment is availible for rent. Wreck diving, U\W Photography and Video courses being planned. Email for information, rates and reservations. Diving in Kingston is a Shipwreck Diving Adventure of a life time!